Home > Looking for friendly printers in Cardiff? Looking for friendly printers in Cardiff? Are you looking for a friendly and efficient printers in Cardiff ? Then let us here at Printingwales.com to help you to promote your business in the very best way. 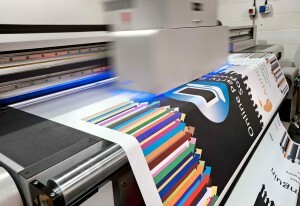 We are a small, local based company with over 70 years of combined knowledge of the print industry. We pride ourselves on our excellent customer service, from your first phone call to us, right through to receiving your finished product. We will advise you of the best products for your company and can also help you with all aspects of the design process, making sure you are 100% happy with everything every step of the way. With free UK delivery on the majority of our products too you can rest assured of receiving a complete service from us. We take pride in care and craftsmanship, ensuring that every project is right first time, delivered on time and at a competitive price. We offer flexible printing & design solutions for high quality, cost effective services with turnaround times you wouldn’t believe. We constantly work with a range of different sized companies from small plumbers & electricians to big corporate Airlines, so, whatever size you are we will have a printing solution for you. From a simple black & white invite or business card to a full colour marketing campaign or display stand we have experienced staff to help and guide you through to your finished product. There are many custom printing or marketing services we can offer and would love to be able to provide you with a custom quote. So if you are looking for printers in Cardiff then contact us on 02920 363600. If its ink on paper, we can print it. If its digitally on screen we can produce it !! !